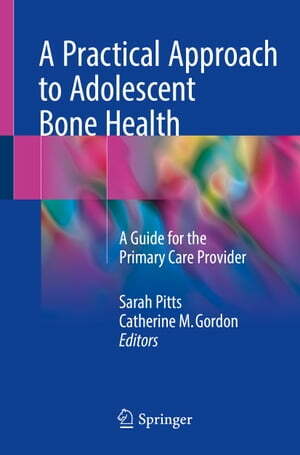 Collins Booksellers - A Practical Approach to Adolescent Bone Health by Sarah Pitts & Catherine M. Gordon, 9783319728803. Buy this book online. This comprehensive book thoroughly covers bone health in the adolescent, offering evidence-based guidance for clinical care in the primary care setting, and includes aspects of endocrinology, nutrition, radiology, sports medicine, and rehabilitation. A Practical Approach to Adolescent Bone Health begins with an in-depth review of normal bone physiology, and explains how to optimize bone mass accrual in the healthy adolescent. The following chapters detail the importance of nutrition and physical activity to the skeletal system, while later chapters provide a bone-centric review of clinical history taking, the physical examination, laboratory assessment, and imaging to evaluate bone health. Final chapters delve into providing comprehensive care for specific conditions commonly found in the adolescent, including adolescents with multiple fractures, eating disorders, athletic involvement, chronic illness, various ambulatory limitations, and bone fragility. Clinical vignettes are woven into chapters throughout the book, providing real-world application and highlighting key concepts for practitioners. A Practical Approach to Adolescent Bone Health is a unique resource,and ideal for the primary care clinician, including pediatricians, adolescent medicine specialists, and family medicine physicians, as well as endocrinologists, orthopedic surgeons, and any other practitioner working to guide adolescents towards optimal bone health.